Tennis on Campus has an exciting, social and competitive component it is open to all community college and university students. The goal is to help players who love playing tennis, who have played in high school or those who would just like to stay in shape continue with this lifelong sport. This program is nation-wide, with 36 schools in Texas participating in the program. TCU is among these school with about 25-30 members. In the fall there are 12 one-day regional tournaments they can attend along with a Texas Sectional Tournament in Austin in the spring. It is at this tournament that teams hope to qualify to attend the National Tournament which will be in North Carolina. The Texas Tennis on Campus Representative is Todd Carlson. 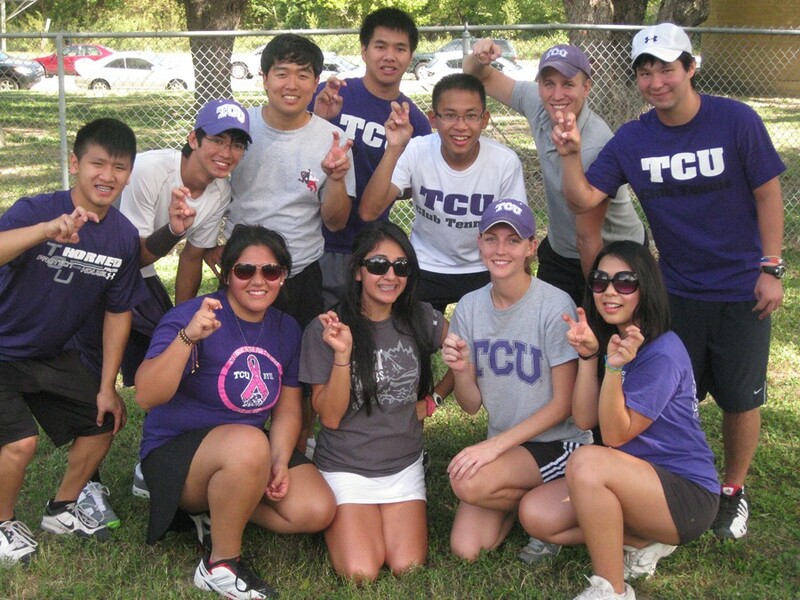 TCU’s Club Tennis team was started in 2007. As a team, the TCU team practice for two hours on Fridays and Sundays. This gives members a chance to get out on the courts and practice their skills after a long busy week at school. One new thing the TCU team is trying to start is a volunteer activity as a team. They are willing to volunteer with any tournaments around the area, or after-school programs. As a team they travel to the various tournament locations, including Austin, Dallas, Houston, College Station. And this year TCU hosted a tournament on October 30. This was the first year TCU Club Tennis has hosted a one-day regional tournament. Team Format is World Team Tennis; they play a men’s and women’s singles, men’s and women’s doubles and one mixed match. Playing one set to 6, with no-ad scoring. The minimum for each team is two men and two women, its ideal to have three men and three women per team, because of the option to sub players in. This is a neat feature, guaranteeing to play three teams at each tournament.